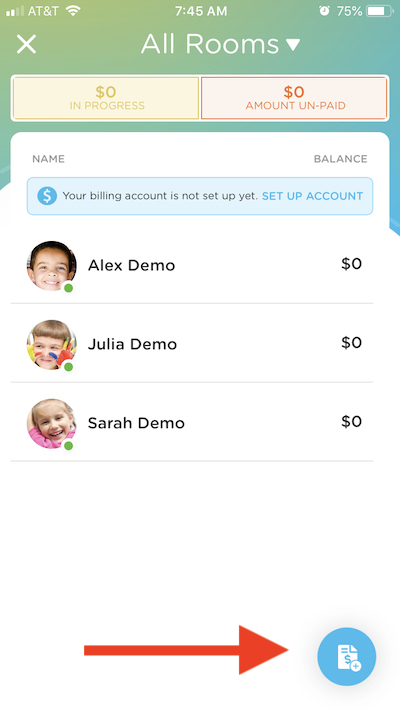 Email a quick invoice to parents directly from the app using our Billing feature. If you would like to create recurring plans that will send automated invoices each billing cycle, you'll need to log into the website. 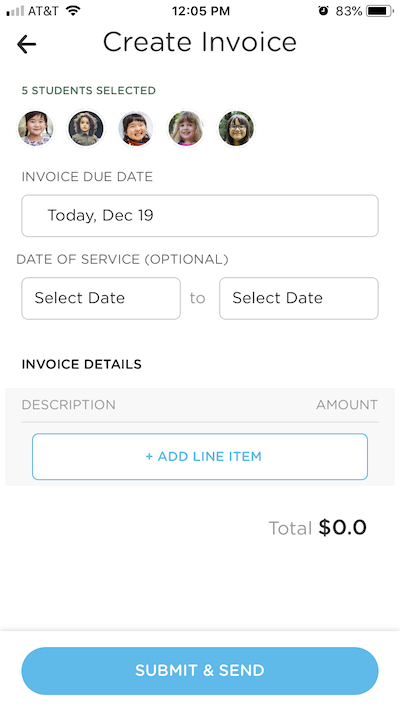 After clicking on Billing, use the blue icon in the lower right to create an invoice. From there, you will choose which families should receive this invoice, then continue on to fill out the details of your invoice. 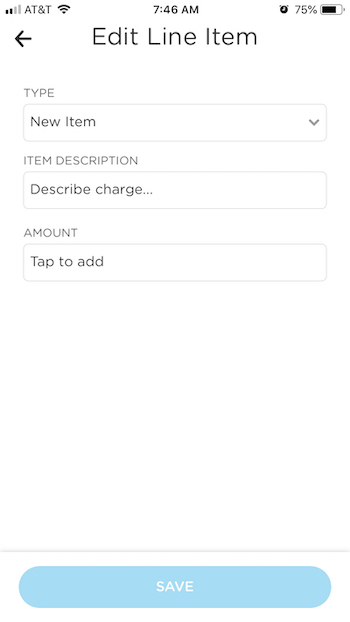 Click on "Add Line Item" in order to add a charge. You'll first need to create a New Item with the regular charge amount. Once that has been added to the invoice, you can click to add a second line item. 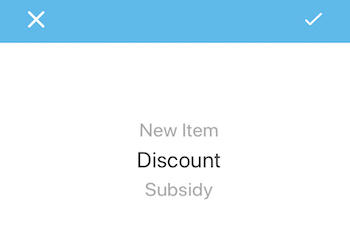 This time, click on the drop-down menu for "New Item" and select Subsidy or Discount as needed. Once the discount has been added, your invoice will deduct the amount from the original New Item charge you had added. 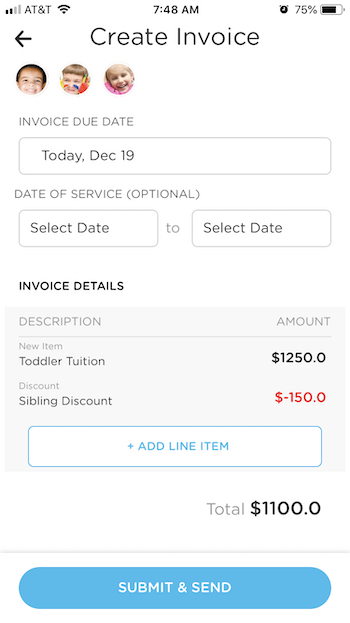 Once you're done looking over the charges, click "Submit & Send" to email the invoices to the parents. 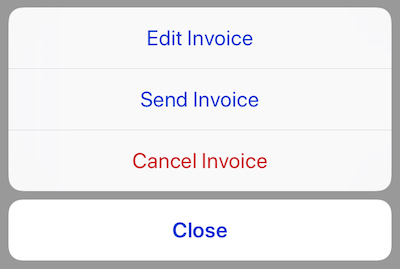 If you want to re-send the invoice as an email reminder to parents, you can click on the invoice, then select the vertical ellipsis (...) in the upper right. Choose the "Send Invoice" option. 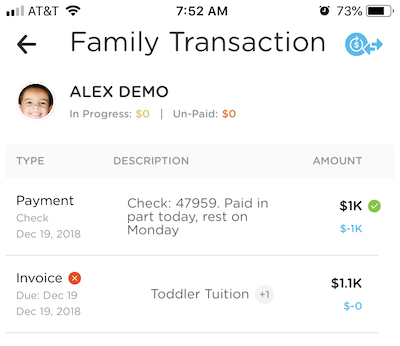 Go into the family account screen and click on the invoice you want to change. Then click on the vertical ellipsis (...) in the upper right and select your desired option. Once the invoice has been cancelled, you'll see it in the family accounts screen as Cancelled, with a small red X next to it. If you want to completely delete it from the account page, click on it again, select the vertical ellipsis (...) and choose to "Delete" the invoice.